Editor’s note: This blog post was originally published in May 2013 and has been updated. A common question that many business clients ask us is, “What does it take to get to #1 in Google?” One of the key factors in influencing organic search rankings is the quality and quantity of the number of external links pointing to a website or web page. It used to be that you could rank any page (even a blank one) in organic search results if you had enough (contextually-relevant) external links pointing to it. That is no longer the case. Content is king nowadays (as it always has been really). 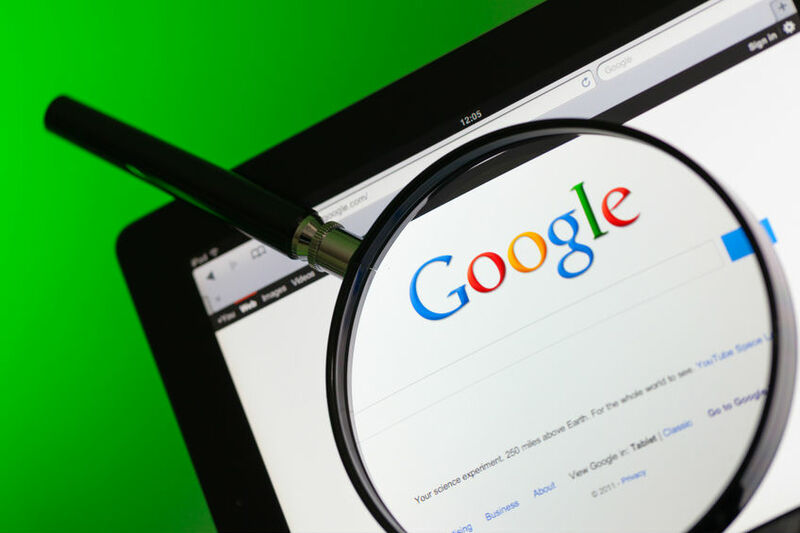 Google has tightened up the rules over the past year when it comes to counting external links and their collective influence on organic search results. The consequence is that it is very difficult to rank web pages with little to no content unless the entire website has a large supporting content footprint, e.g., a lot of internal “quality” pages within the subject theme (domain) linking to the thin content page(s) in question within its site architecture. Quality content development remains the single most important factor in SEO. At the heart of SEO is good quality content and the need for that has not changed since day one of the Web. The fact is that Google thrives on high quality, deep content. In reality, you need a lot of good quality content, and you need to post it regularly. The frequency part is important because you are training Google to index your site. You want Google to see your site as an authority provider of content and to trigger Google to keep coming back. The way you do that is to consistently feed Google the quality content it wants. But what exactly is “quality content”? Although Google does not publish the factors that go into its ranking algorithms, it does provide guidelines on good content development. Google is shifting to a content-centric algorithm invoking content factors along with other possible signals in order to determine more relevant content results for its search engine results pages. When it comes to producing quality content you have to think not only about the frequency of publication, but also the size of the content. One tactic with content that works very well is to create very large topical landing pages of 800 to 1200 words long. You pick a main keyword that you are targeting and put it in the URL and title of the post. Then you select a bunch of sub-phrase keywords that are long tail variations of your primary keyword and use them within sub-headings that you make <h2> tags. Then you fill them in with about 200 to 300 words per sub-section. The goal is to write original, useful content from what you know, not from what others know. It is also important to write “naturally” for your reader and not just for SEO purposes. You want to create informative, compelling and useful content that helps answer or provides a solution for the user’s problem or search query. The first rule of creating quality content is to never publish anything that is not original content on your site. Do not try to mix in lower quality stuff just in order to get your article count up on your site. Putting non-unique, uninformative content on your site will not help you rank in organic search results. The point is that Google rewards sites that have a constant, steady influx of new, fresh content (that’s why blogs typically rank well without any particular SEO effort to compete for specific keywords). Google also rewards you for being around a while. Getting traffic for some terms as soon as possible is important because search engines pay attention to which pages actually receive click-throughs from their search engine result pages. Furthermore, Google notices how long a visitor stays on your site before returning to the results page to try another site or do another search. These are indicators that your website is worthy and important. These serve as user “engagement signals” that your website deserves a higher ranking so that people can find it easier. If you develop enough “quality” content pieces focused on highly specific subjects relevant to your industry niche and/or topic, then you will capture more relevant traffic that will in turn create more authority for your web pages and website. Instead of focusing on ranking results, you end up focusing on content because that content pre-qualifies your user based on their interest and motivation via keyword-focused content pages (KFCPs). On-page optimization refers to aligning the content and Meta data of a web page with the targeted keyword phrases that the page is relevant to. As you probably know the on-page factors include things such as the domain name, sub-domain or page URL naming conventions, keyword Meta tags, description Meta data, title tags, H1 headers, H2 headers, image alt tags, and targeted keyword use in the page content. For example, it is possible to rank highly (on the first page of results) if we target very long tail keywords (keyword phrases with three or more words) without any off-page optimization factors such as link building – provided we have good contextual depth for the topic relevance within the content page. If we targeted the keyword phrase “Belgium Baby Carriage Assemblers”, we could probably rank on the first page of results for that keyword phrase by just implementing the on-page SEO optimization techniques commonly being taught on the web without having to worry too much about link building. Of course, this would not be a very profitable niche, since there are probably not a lot of people searching the web with this very specific term. The point is that the more competitive the niche, the more resources you need to bring to bear to rank well. For a niche like “Belgium Baby Carriage Assemblers”, on-page optimization may be all that is required to rank well organically. Off-page optimization refers to aligning the link connectivity of the website to the keyword phrases that are most relevant to the subject theme of the home page, major landing pages, and sub-page content. Off-page optimization is further divided into two sub categories: internal off-page optimization and external off-page optimization. Internal link optimization is concerned with site elements such as the global navigation template, breadcrumb navigation, and links from internal content pages. External link optimization is primarily focused on third party links that point to the website and what keywords are being used in those links. As we mentioned earlier, it used to be that you could rank any page (even a blank one) in organic search results if you had enough contextually-relevant external links pointing to it. That was how important keyword phrase-based external links were in influencing organic search results. What is a contextually-relevant external link? A contextually-relevant external link is a third party link that uses a keyword phrase that is relevant to the subject theme of the web page content that is being linked to. Google puts a lot of weight into links that are contextual and relevant, and that are surrounded by unique content. Of course, like any good thing, many web marketers abused this important ranking factor and were using these contextually-relevant external links to rank web pages with little to no content based on an increasing number of targeted search phrases. The result was that the quality of the organic search results pages was increasingly being compromised in terms of returning relevant page content for specific search queries. In response, Google decided to tweak its search algorithms to factor for link building patterns within its ranking algorithm. 1. The percentage of “keyword-based” contextual anchor text links pointing to a web page. Common sense suggests that most people voluntarily linking to a website are very unlikely to just happen to coincidentally use the proper keyword phrase in the resulting anchor text link. This is the point Matt Cutts (lead Google search quality guru) is making when he talks about the “over-optimization” of links. It stands to reason that too many “exact match” contextual anchor text links as a percentage of the total link count pointing to a specific web page will trigger a “devaluation” of the link authority for that page. Of course, no one really knows what the actual percentage is but based on feedback in many advanced SEO forums that number is likely to start at around 25%. The key consideration to keep in mind is that most of the links pointing to your website are unlikely to have optimized contextual external links to begin with. 2. Diversity of the linking profile. Google is now looking at the number of links (a) from the same domain or IP class, (b) from the same category of link type, e.g., blog comment links, article links, etc. and/or (c) that make up the variety of anchor text variation a web page receives. Abnormally high or disproportionate numbers in any or all of these categories is likely to trigger a devaluation or neutralize the link authority for the page. Mixing up the type of links the web page receives is important for maintaining a “natural” linking profile in order to avoid this particular filter. This refers to how many links a web page is getting compared to its corresponding traffic for both the web page and the website. If a page gets a lot of links but very little traffic, then it is more likely to be “flagged”. Consistency and moderation are key. With Google’s latest updates, Google is still ranking based on relevant contextual backlinks with the only difference being that Google may pick a more relevant page in the website based on content, URL structure, and internal links. Link building is still very important – it just needs to be used more judiciously and qualitatively. In this way, we see link building as a “type of catalyst” for initially building exposure for a set of keywords that help promote relevant content when there is little or no traffic because of limited search visibility. It is really a tactical means to an end. Think of link building as a type of “starter fluid” that helps get the organic search rankings flowing by providing exposure for good relevant content. The content takes care of the rest once the traffic begins flowing because if it is, indeed, “useful and informative”, users will naturally link to it. So, how do we get our client’s sites to the top positions in the SERPs? Quality: You need to get links from “quality” sites which basically means authority sites in your niche and/or sites with good authority. Quantity: While a few high quality links are good, getting a good volume of generic and brand links is arguably just as important. Diversity: Ensure you get links from various sources including social media, social bookmarks, profile links, blog articles, and video posts. This diversity of links makes for a healthy “link profile” and looks more natural to the search engines. Cadence: Do not try to get 50 links in a day, but rather build up a healthy “cadence” which means building a medium amount of links consistently over a period of time. Focused keyword theme + highly relevant content + on-page optimization + supporting relevant secondary internal content with contextual links + external contextual links to multiple inner pages (not just the home page) + social signals (Facebook, Twitter, blogs, videos, photos, citations, reviews, etc.) = top rankings.